Doevendans, P. A. F. M.
XIX, 275 S., 1 farbige Illustr. 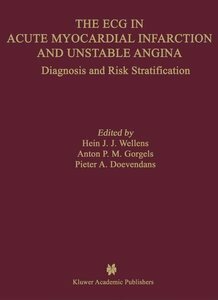 Four years ago-in December 1997-the first European Science Foundation Workshop on Cardiovascular Specific Gene Expression was held in Maastricht. It was hardly possible to imagine the progress in the field in those four years. In 1997, gene expression was still an art focused on individual genes; in 200 I, many labs have access to micro-array facilities to determine the expression of thousands of genes simultaneously. In 1997, gene expression was an area of fundamental research in basis molecular biology laboratories; in 200 I, clinical cardiovascular research has incorporated gene expression approaches. In 1997, the interpretation of a gene expression experiment was usually straightforward; in 200 I, advanced bioinformatics tools are needed to approach the extreme complexities of genetic control of cell and tissue function. The second symposium in this series is focused on Cardiovascular Genomics. 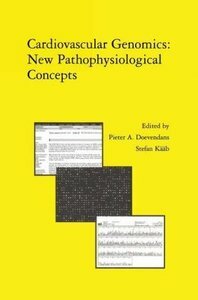 New Pathophysiological Concepts. The organizing committee chose to invite a group of renown scientists and young investigators around four topics of eminent importance in cardiovascular research. These topics reflect the major present-day clinical cardiovascular problems: atherosclerosis, hypertension, arrhythmias and heart failure. In addition to these four disease-driven topics, the workshop has sessions on gene expression methodologies and cellular transplant approaches to cardiovascular disease. List of Contributors. Preface. 1. Genomics and clinical cardiology: Hype or hope? H.J. Wellens. Session 1: Gene expression analysis. 2. Salt-sensitive hypertension: Identification of downstream renal targets in the aldosterone-signaling pathway by Serial Analysis of Gene Expression (SAGE); B.C. Rossier, D. Firsov. 3. Cardiovascular proteomics: Effect of hypoxic conditions; C. Michiels, et al. 4. Using comparative genome analysis to find interaction partners for frataxin; M.A. Huynen. Session 2: Genomics and pathophysiology of atherosclerosis. 5. In vitro-in vivo gene expression analysis in atherosclerosis; A.J.G. Horrevoets, et al. Session 3: Genomics in hypertension. 6. Human essential hypertension: Role of the genes of the renin-aldosterone system; X. Jeunemaitre, et al. 7. Gene therapy for hypertension: Future or fiction? J.P. Fennell, et al. 8. Hormones and signalling pathways; G. Lembo. 9. Endothelial changes in hypertension; C. Zaragoza, S. Lamas. Session 4: Genomics in cardiac hypertrophy and failure. 10. 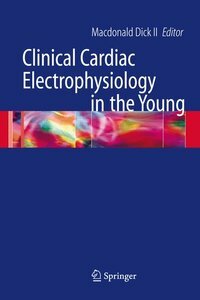 Towards elucidation of genetic pathways in cardiac hypertrophy: Technique to develop microarrays; B.J.C. van den Bosch, et al. 11. Gene expression in cardiac hypertrophy and failure: Role of G protein-coupled receptors; G. Esposito, et al. 12. Little mice with big hearts: Finding the molecular basis for dilated cardiomyopathy; L.J. de Windt, M.A. Sussman. 13. Cardiac hypertrophic signaling the good, the bad and the ugly; O.F. Bueno, et al. Session 5: Molecular remodelling in arrhythmias. 14. Ion channel regulation: From arrhythmias to genes to channels (to cures? ); J. Donahue. 15. Differential expression and functional regulation of delayed rectifier channels; M. Stengl, et al. 16. Genetic polymorphisms and their role in ventricular arrhythmias; S. KÃ¤Ã¤b, et al. 17. Molecular mechanisms of remodelling in human atrial fibrillation; B.J.J.M. Brundel, et al. 18. G-protein &Bgr;3-subunit polymorphism and atrial fibrillation; U. Ravens, et al. Session 6: Towards cellular transplantation. 19. Human stem cell gene therapy; A.A.F. de Vries. 20. Towards human embryonic stem cell derived cardiomyocytes; C. Mummery, et al. 21. Use of mesenchymal stem cells for regeneration of cardiomyocytes and its application to the treatment of congestive heart failure; K. Fukuda. 22. Cellular cardiac reinforcement; P. MenaschÃ©. 23. Appendix to session 3 hypertension. Adducin paradigm: An Approach to the complexity of hypertension genetics; G. Bianchi. Index. List of Contributors. Preface. 1. Genomics and clinical cardiology: Hype or hope? H.J. Wellens. Session 1: Gene expression analysis. 2. Salt-sensitive hypertension: Identification of downstream renal targets in the aldosterone-signaling pathway by Serial Analysis of Gene Expression (SAGE); B.C. Rossier, D. Firsov. 3. Cardiovascular proteomics: Effect of hypoxic conditions; C. Michiels, et al. 4. Using comparative genome analysis to find interaction partners for frataxin; M.A. Huynen. Session 2: Genomics and pathophysiology of atherosclerosis. 5. In vitro-in vivo gene expression analysis in atherosclerosis; A.J.G. Horrevoets, et al. Session 3: Genomics in hypertension. 6. Human essential hypertension: Role of the genes of the renin-aldosterone system; X. Jeunemaitre, et al. 7. Gene therapy for hypertension: Future or fiction? J.P. Fennell, et al. 8. Hormones and signalling pathways; G. Lembo. 9. Endothelial changes in hypertension; C. Zaragoza, S. Lamas. Session 4: Genomics in cardiac hypertrophy and failure. 10. Towards elucidation of genetic pathways in cardiac hypertrophy: Technique to develop microarrays; B.J.C. van den Bosch, et al. 11. Gene expression in cardiac hypertrophy and failure: Role of G protein-coupled receptors; G. Esposito, et al. 12. Little mice with big hearts: Finding the molecular basis for dilated cardiomyopathy; L.J. de Windt, M.A. Sussman. 13. Cardiac hypertrophic signaling the good, the bad and the ugly; O.F. Bueno, et al. Session 5: Molecular remodelling in arrhythmias. 14. Ion channel regulation: From arrhythmias to genes to channels (to cures? ); J. Donahue. 15. Differential expression and functional regulation of delayed rectifier channels; M. Stengl, et al. 16. Genetic polymorphisms and their role in ventricular arrhythmias; S. Kääb, et al. 17. 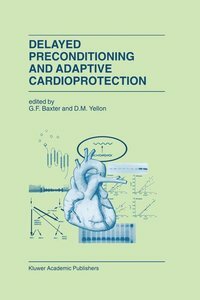 Molecular mechanisms of remodelling in human atrial fibrillation; B.J.J.M. Brundel, et al. 18. G-protein &Bgr;3-subunit polymorphism and atrial fibrillation; U. Ravens, et al. Session 6: Towards cellular transplantation. 19. Human stem cell gene therapy; A.A.F. de Vries. 20. Towards human embryonic stem cell derived cardiomyocytes; C. Mummery, et al. 21. Use of mesenchymal stem cells for regeneration of cardiomyocytes and its application to the treatment of congestive heart failure; K. Fukuda. 22. Cellular cardiac reinforcement; P. MenaschÃ©. 23. 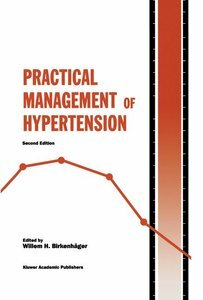 Appendix to session 3 hypertension. Adducin paradigm: An Approach to the complexity of hypertension genetics; G. Bianchi. Index.